The Bachelor of Arts (Screenwriting) is one of nine specialisations available within this degree delivered by the Victorian College of the Arts (VCA). It is designed for those who have the desire and talent to write audience-driven stories for the screen. You will study the many facets of screenwriting through lectures, classes, screenings and practice-based exercises, including cinematic and television writing; writing for the youth market; adaptation; writing for games; and web content. Housed in the School of Film and Television, this degree lives alongside the school's other degrees in directing and producing for live-action fiction, animation and documentary. You can apply to any Bachelor of Fine Arts on its own, or in a Graduate Degree Package (GDP) with the Melbourne Juris Doctor. You can apply for a GDP direct from completing an Australian Year 12 or the International Baccalaureate (IB) as a domestic or international student in Australia or as a domestic student outside Australia. See study.unimelb.edu.au for details. Units 3 & 4: A study score of at least 25 in English/English Language/Literature or at least 30 in EAL. Selection is talent-based and may include a test and interview. 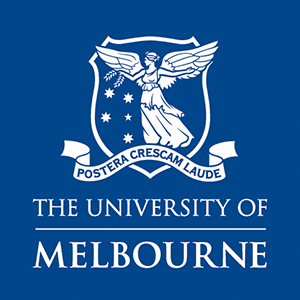 Full admission criteria are available at study.unimelb.edu.au. The Bachelor of Fine Arts (Screenwriting) requires the successful completion of 300 credit points comprising 100 points of study at first, second and third year levels. There are 275 points in core subjects and 25 points in electives. Students can choose an elective from another artistic discipline within the VCA, or from a range of undergraduate subjects from across the University. Qualified graduates may progress to an additional year to qualify for Bachelor of Fine Arts (Screenwriting) (Honours), and/or to a range of master degrees leading to research programs. The Melbourne Chancellor's Scholarship is available for high achievers. The Victorian College of the Arts has partnerships with over 30 leading arts institutions around the world, including the Universities 21 and Association of Pacific Rim Universities networks. The VCA is also a member of: Australian Council of University Art and Design Schools (ACUADS); Australian Screen Production Education and Research Association (ASPERA); College of Art Association, US (affiliate member); and International Association of Film and Television Schools (CILECT).